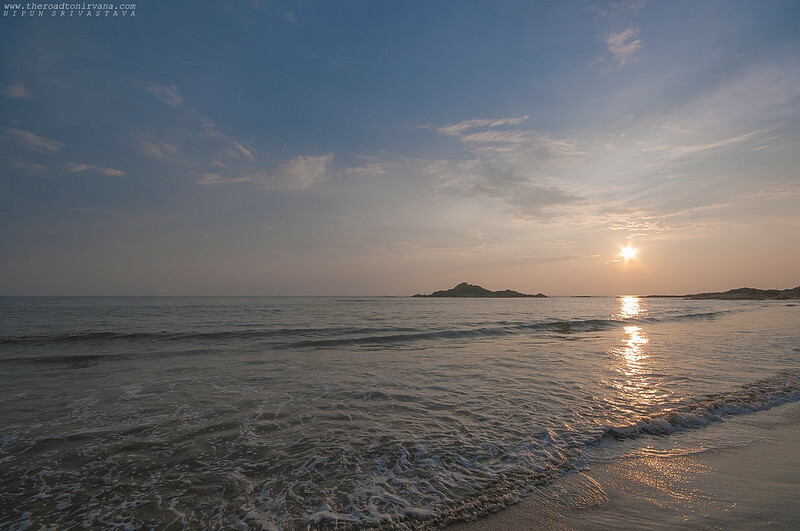 About 150 kilometers south of Goa, Gokarna is home to some really appealing beaches. Primarily known for its ‘hippy’ crowd, it is a magnet for foreign tourists who are on a budget. As always, we were on motorcycles. It had been a real task getting here as Gokarna is about 650 kilometers from Pune. We covered that distance in a little over 13 hours of pure, unadulterated motorcycle riding through intermittent rain and losing our way while crossing over the Western Ghats. Here, unless you’re staying at the shacks on Om beach, it is next to impossible trying to search for a place to stay at in the night. So our suggestion, if you’re driving/riding from Mumbai, leave early. There are other options of getting to Gokarna like taking a train or even buses. Both the trains and buses are reasonably reliable and will get you there in one piece (if you cross your fingers ;)). Gokarna town is chaotic and haphazard for the most part. We somehow find it beautiful. The place is full of people. Make no mistake this is only Gokarna town that we talk about. The vibe in the town is quite different from the rest of Gokarna. 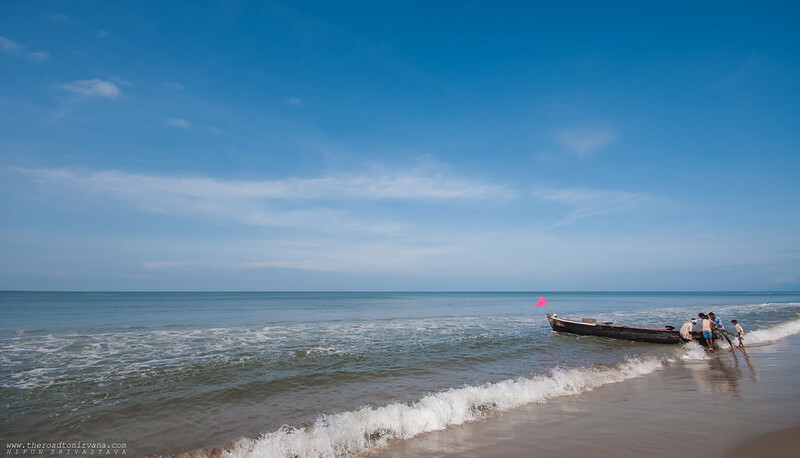 Om beach, which is about ten kilometers from the main town center, is the true Gokarn-ian destination. This stretch of smooth winding road gives you views of the Arabian Sea in the most flattering of ways. This small journey is very beautiful, especially during the evenings. Om beach is so named because it looks like the Hindu symbol of worship Om (aum), when observed from a distance. A quaint and quiet calm prevails over this beach at all times. The slow pulsating waves that break on the golden brown sand titillate the senses and conjure peace in the mind. A very endearing beach café and the only one of its kind, Dolphin Bay Café, sits right in the middle of Om beach. Appropriately named, you will often find many local boatmen with their boats lined up; ready to take tourists out to sea, to watch dolphins. Interesting as it may sound, we’re not sure about the environmental impact these shabbily organized and orchestrated tours actually have on the dolphins. It’s not healthy for their habitat in most cases, we’ve learnt. These boat rides are not very expensive and one can be hired for about 500 Indian rupees. The Dolphin bay cafe is a very interesting place indeed. Laxman, the De-facto manager of the cafe will try and first- understand you and second- make you what you asked for. The easiest thing to order here, like anywhere else, is beer of course. Evenings couldn’t be more magical here, the color of the skies and the water are refreshing. 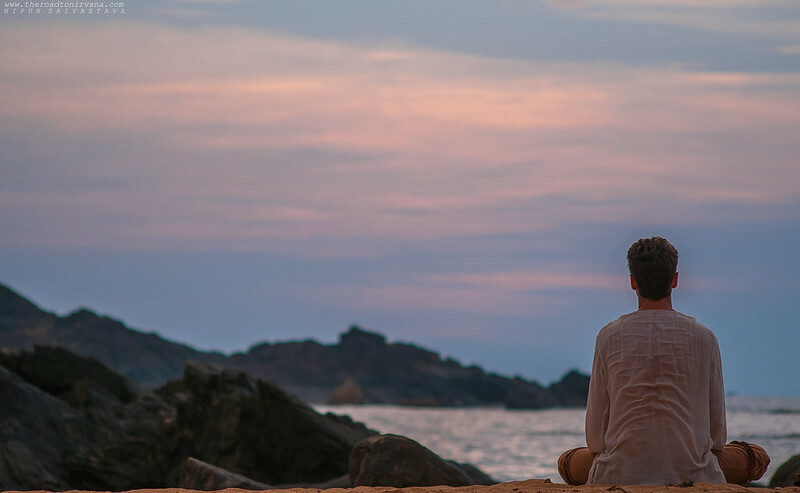 In and around Gokarna there are a bunch of beaches which are not just beautiful but are also different from the regular run off the mill beach idea. For instance, Paradise beach, (yes!) Paradise is situated south of Om beach, about a 20 minute boat ride away. What’s special is that there is no access to this beach by land. It is also very small as far as the sand bank is concerned, which adds to its charm. There is a huge restaurant on Paradise beach which serves very good Punjabi food. Also, for the offbeat traveller, there are shacks available. Why offbeat? Because once the tide comes in, the boats can’t dock on the beach. So you’re pretty much water locked on two sides and land locked on the other two. Staying here should be fun! 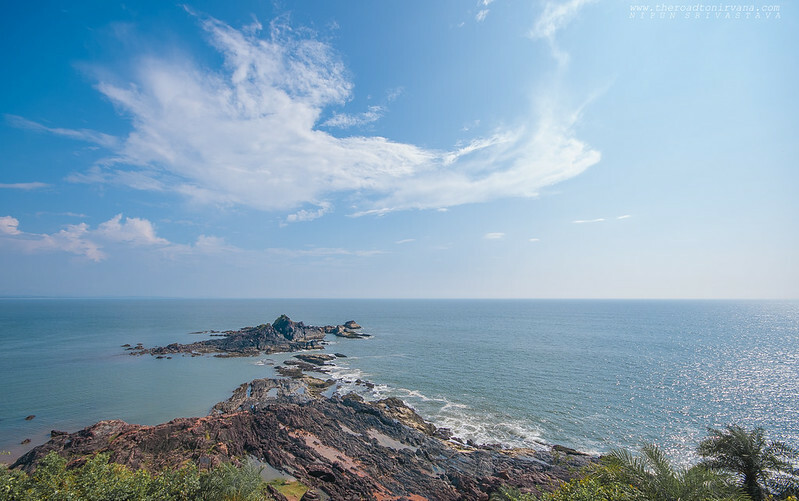 Kudle’ and Half Moon are the other beaches around the town of Gokarna, Half Moon being the more remote one. They have a decent reputation and are of course very beautiful but plan to stay here only if you’re coming during the ‘season’. Else a passing visit to these two beaches is more than enough. 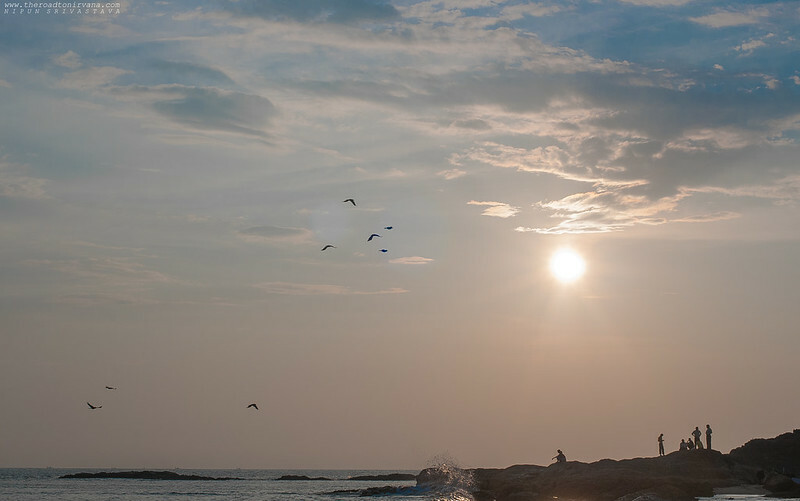 The beach near Gokarna town is also a pretty place. This beach is more interesting during sun up. Life here is an apparent presence, if you catch our drift. 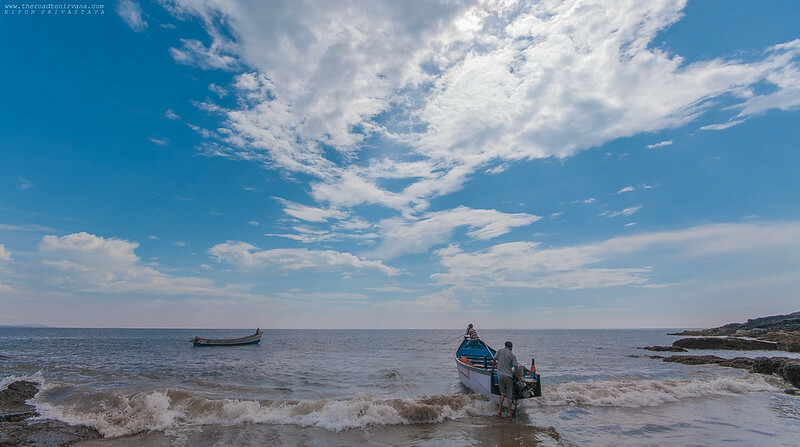 Every day, there can be seen whole families of fishermen heading out to sea to catch fish. This beach is a busy place, not in the tourist sense though. 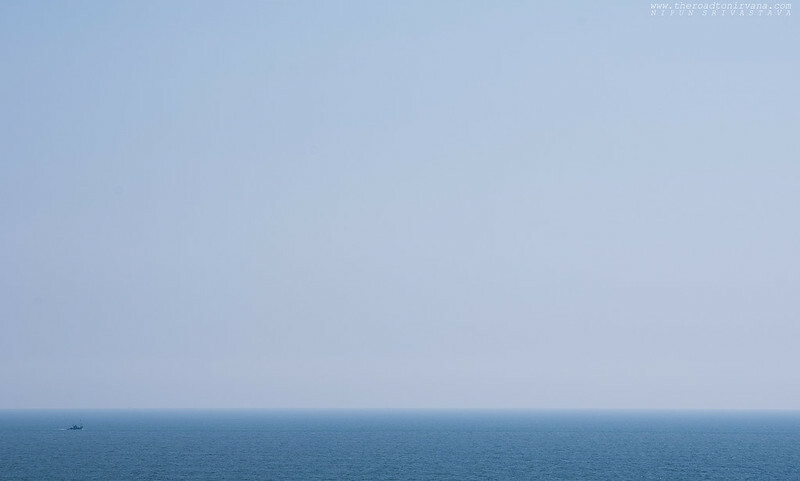 People here who live with the Sea, live off it too. Sure there are the cafés and the shacks and you might even find a couple of bikers with their tents pitched on the beach too. 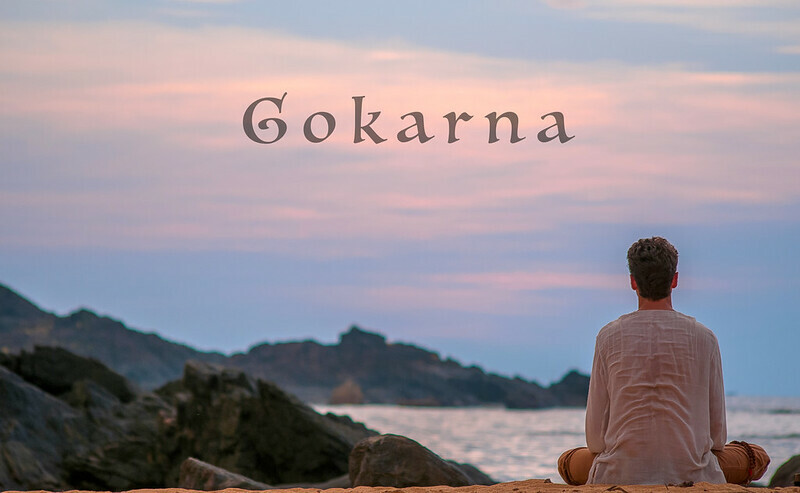 Gokarna though, has a lot more to it. Religion, predominantly Hinduism is a huge part of Gokarna. Temples and shrines present the real reason of existence for this town. There is a lot of folk lore about the ‘atmalinga’ which some claim rests at one of the temples here. 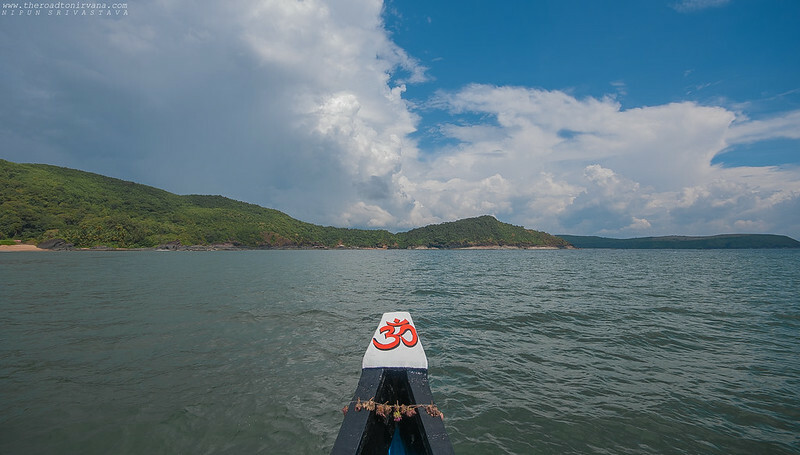 Gokarna is home to a host of interesting avenues for those on a quest for knowledge about the religious aspects of this little temple town. 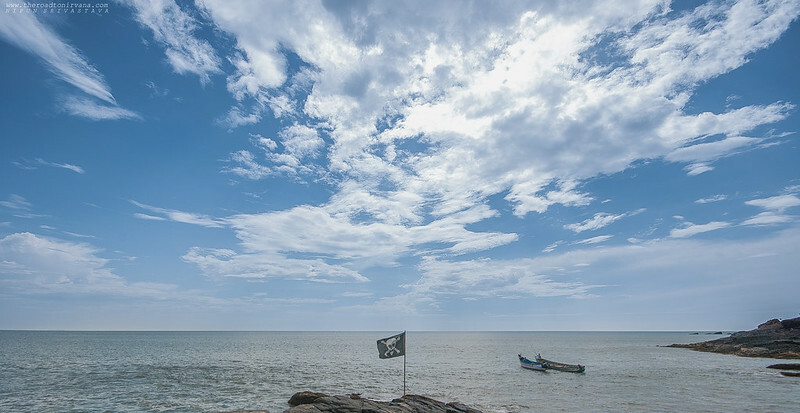 All said and done though, Gokarna is both for the lighthearted traveller as well as the one who finds solace in beer, bohemia and banter – not that the former doesn’t enjoy the latter. 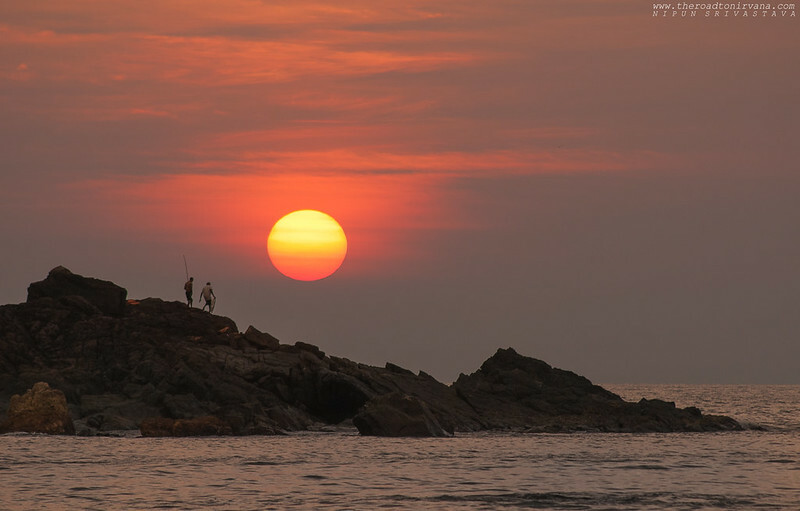 Anyone would simply love the aura of Gokarna. This entry was posted on June 12, 2011 by Nipun Srivastava. It was filed under Motorcycle Trips, Motoring, Photography and was tagged with diwali, enfield, gokarn, gokarna, motorcycle, om beach, paradise, photography, sand, sun, Travel, village.